Spring is clearly one of my favorite season's because it's the beginning of light, sun, colours and happiness. Ok, maybe a bit far fetch, since it's mostly slush, grey days and waiting (praying) for the snow to melt. When I received the email from Clarins showcasing their new Opalescence Spring 2014 collection, I was beyond happy and excited. 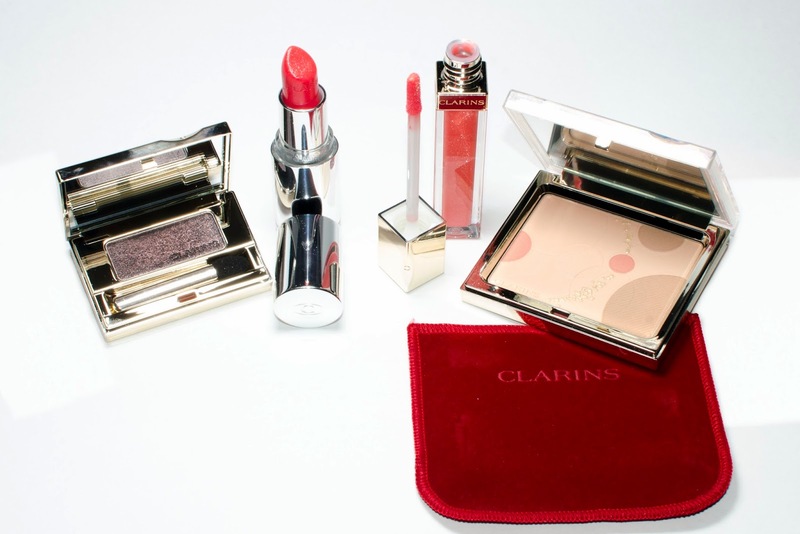 Almost every season now, Clarins doesn't disappoint, they display a very coherent collection with simple and quality pieces. Clarins is a pure and simple brand and that is what I adore about them, they do not get caught up with crazy merchandising which tends to make companies forget about the actual product. Clarins takes the time to come up with a collection that is on trend but while always keeping their quality at the highest. You all know the love I have for cream blushes, so when I got the email from Clarins announcing their new range of creams blushes, the Clarins Multi-Blush Cream Compact - I died. 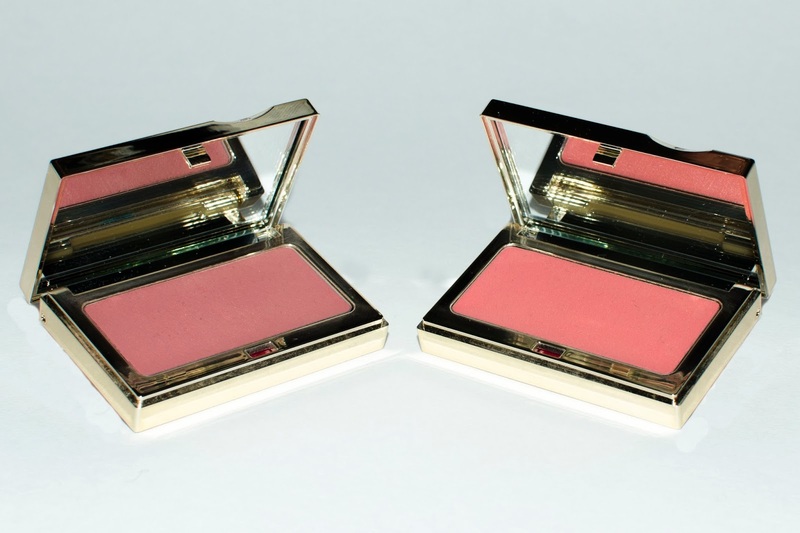 The Clarins Multi-Blush Cream Compact (30$CAD) come sin 4 different shades to suit every skin tone. I got Peach and Rosewood, two amazing colours, one for a fresh peachy look and the other is more of a neutral shade that goes with any makeup look. I want to tell you that this blush is really long lasting and does not look shiny or wet on the skin, something I do not really appreciate in a cream blush. It applies like a dream, with a brush or even with your fingers and it leaves a nice powdery texture to your cheeks. The perfect accessory to those hot summer days ! Check out the Clarins Opalescence Spring 2014 Collection at your nearest counter and make sure to jump on these blushes !